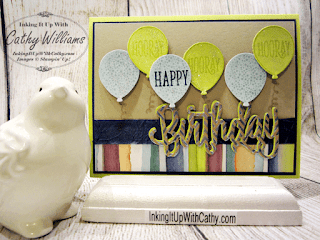 Inking It Up With Cathy: Tippin' on Tuesday - Happy Birthday Gorgeous! Tippin' on Tuesday - Happy Birthday Gorgeous! I am really loving the Lemon Lime Twist In Color this year! It works so well with lots of other Stampin' Up! colors. 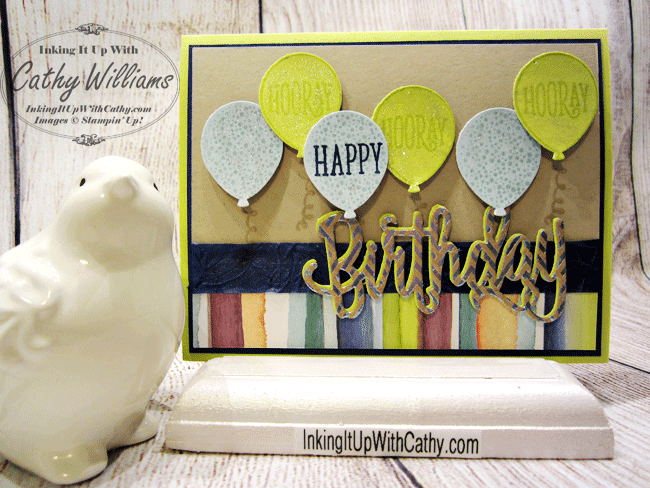 Here, I paired it with Night of Navy and Soft Sky for a fun birthday card using the Happy Birthday Gorgeous stamp set and the coordinating Happy Birthday die and Balloon Bouquet punch. 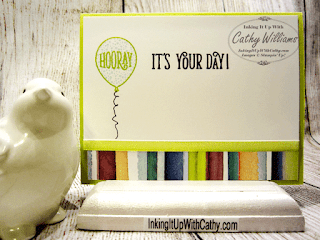 What I really like about this card is that it would work for anyone - male, female or child!